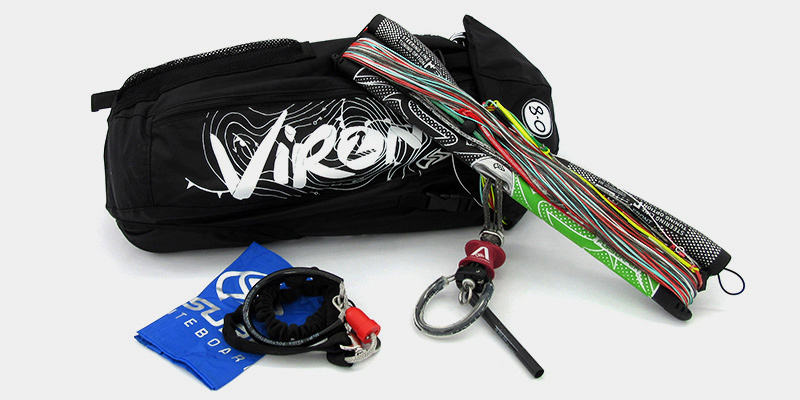 The VIRON2 DELUXE allows the easiest access into the kite world. Highest longevity and safety, superb stability in the strongest storms, simple handling, auto-relaunch and usable on all terrains. 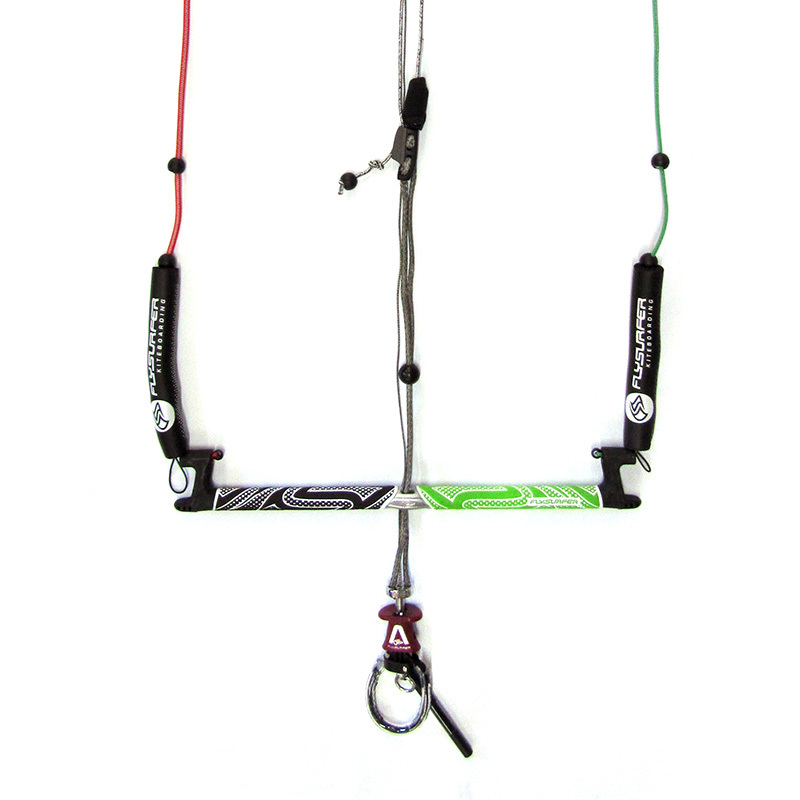 This is a must have tool for all kitesurf stations and the best kite for teaching and children. There are 3 ways the kite achieves maximum depower: Reducing the angle of attack, profile change and reducing the projected area. This leads to a huge wind range and ideal handling. The unique auto-relaunch delivers you the easiest kite relaunch you’ll ever experience. Even in low winds, simply let go of the control bar and the VIRON2 DLX will automatically wander and park at the edge of the window. With just a simple steering impulse, the VIRON2 DLX flies on. Developer Armin Harich has reworked the airfoil and construction on the kite, which has improved the overall flying performance. Now the VIRON2 DLX is even easier to control in strong, gusty winds. 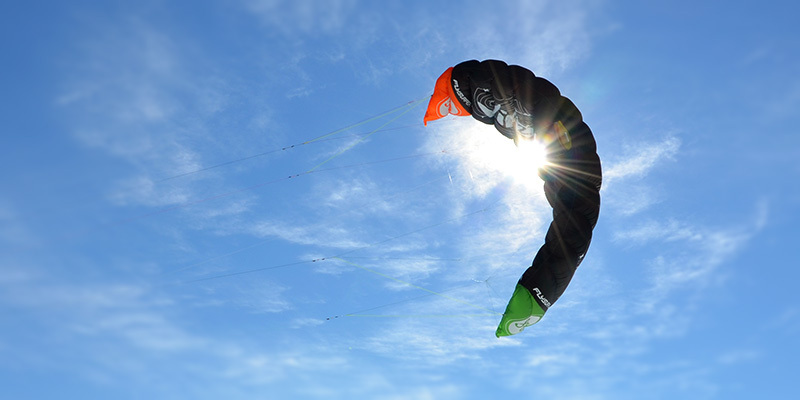 The Deluxe kite cloth has a noticeable effect on a kite’s performance – all sizes fly in less wind, turn tighter and have noticeably more power. The unique, patented and now even more robust Reefline Safety (which is similar to a 5th-line safety) of the VIRON2 DLX ensures maximum security and easy relaunch for everyone. 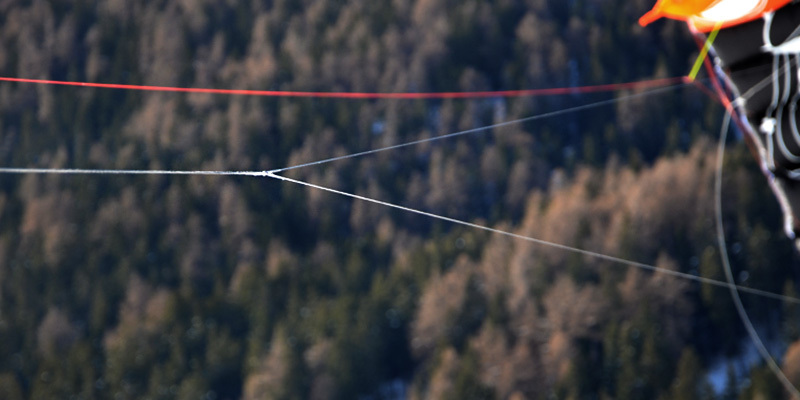 After activating the Infinity quick release, the kite lands safely and easily without any remaining pull. It can be relaunched any time, even by beginners. The proven drainage system is located on both ends of the trailing edge near the tips, openings that are about the size of a hand. They allow water and sand to be drained automatically, without influencing the performance of the kite. Because of the optimized bridle, the VIRON2 DLX is more efficient and stands flatter, generating more power, speed and up-wind performance. This optional extra is available at the FLYSURFER online shop and your trusted FLYSURFER dealer. 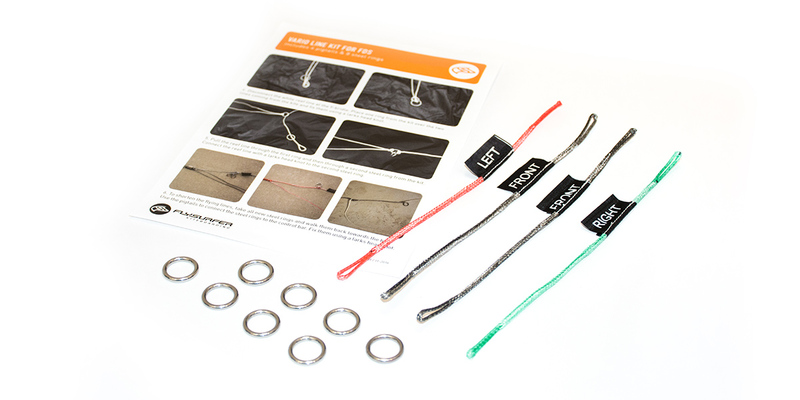 The Vario Line Kit offers the possibility to quickly shorten the lines by 50%. This results in less lift and less power which is great for kids and teaching. 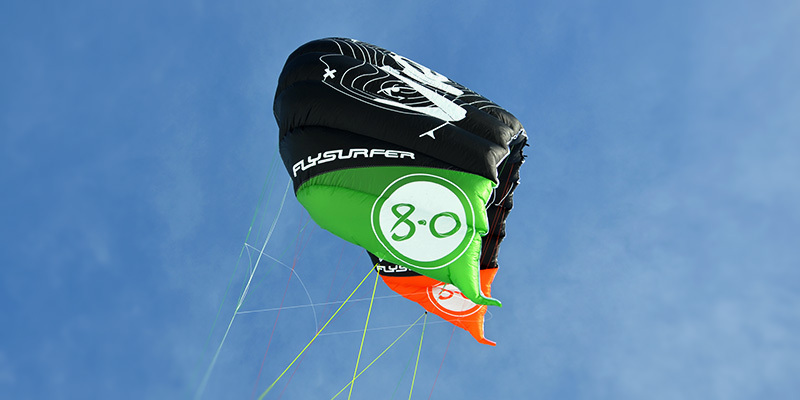 The kite needs less space, has a larger windrange, and gives more direct feedback. Perfect for beginners. The VIRON2 DLX completes the portfolio of FLYSURFER. 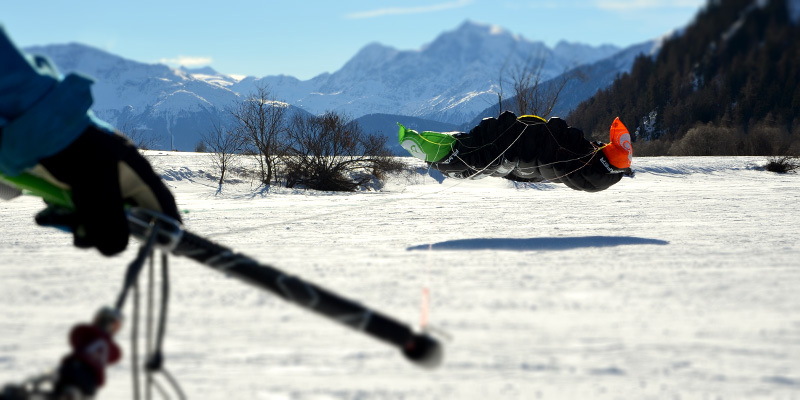 This is a kite that makes it possible for children to get started in the sport, as well as being the solution for riders keen to challenge strong winds on water or land. The easy-to-use VIRON2 DLX is an incomparable all-in-one kite that ensures maximum safety and stability – plus it has the easiest water relaunch you’ll ever experience. Here at FLYSURFER your safety is our top priority – which is why our experienced Research and Development team have spent hundreds of hours creating a kite that’s safe, secure and stunning. 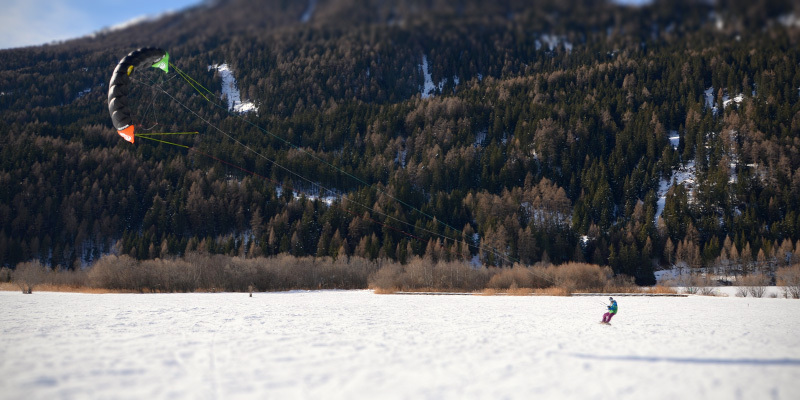 FLYSURFER Kiteboarding gives you the simplest introduction to the world of kiting, the VIRON2 DLX is equally at home on water, land and snow. It’s the kite that kite schools have been wishfully waiting for. All VIRON2 DLX sizes are made in Deluxe kite cloth, which has a noticeable effect on a kite’s performance – deluxe kites fly earlier, turn tighter and are more stable. The VIRON2 DLX in 2.5 and 4.0 are primarily designed for use in training, therefore, these kites are equipped with a simple One Eyelet Bar. The VIRON2 DLX 6.0 and 8.0 come with a Infinity 3.0 Control Bar, which provides more comfort. Infinity 3.0 Control Bar, which allows automatic untwisting of the front lines as well as friction-free steering. The VIRON2 DLX gives users the option to disconnect the bottom 7m of the flying line set to create new and safer opportunities for teaching and flying in stronger winds.